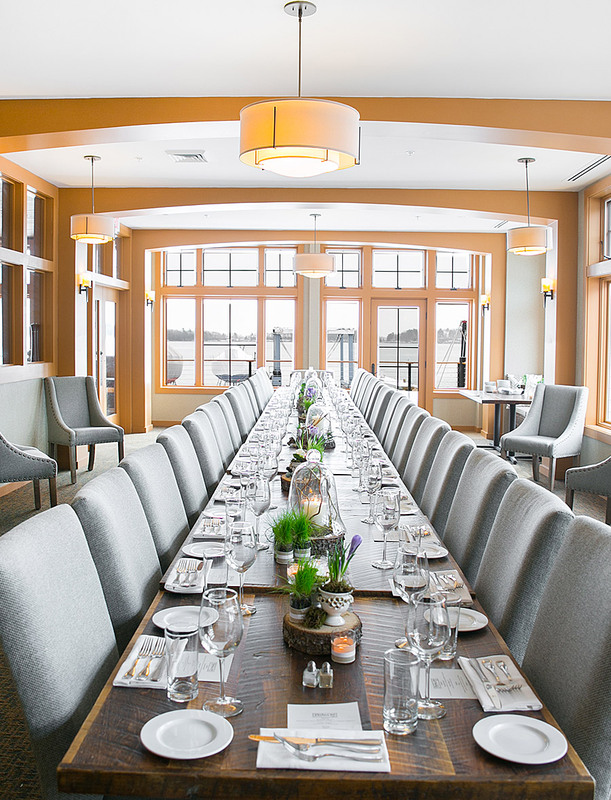 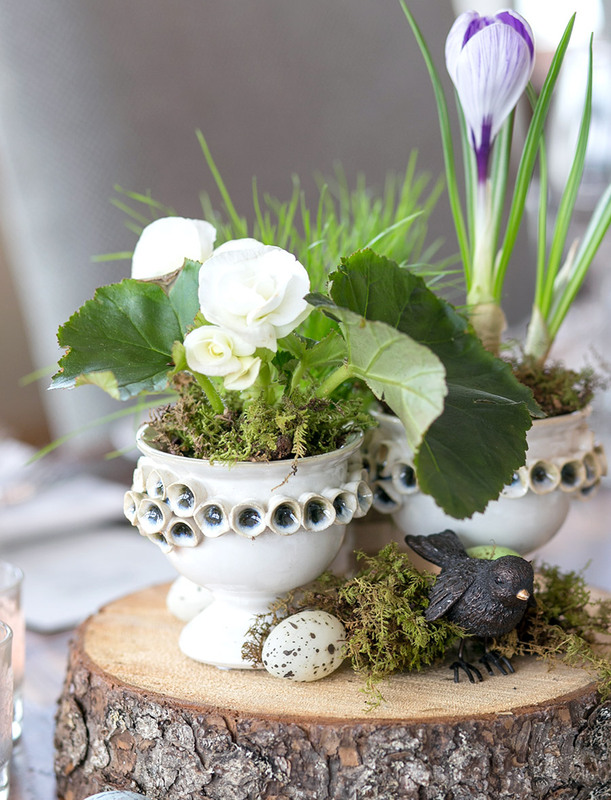 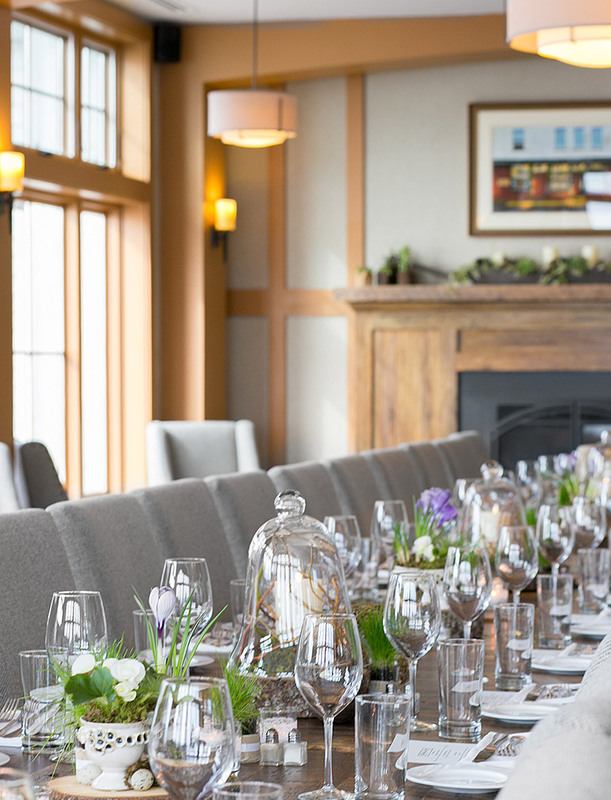 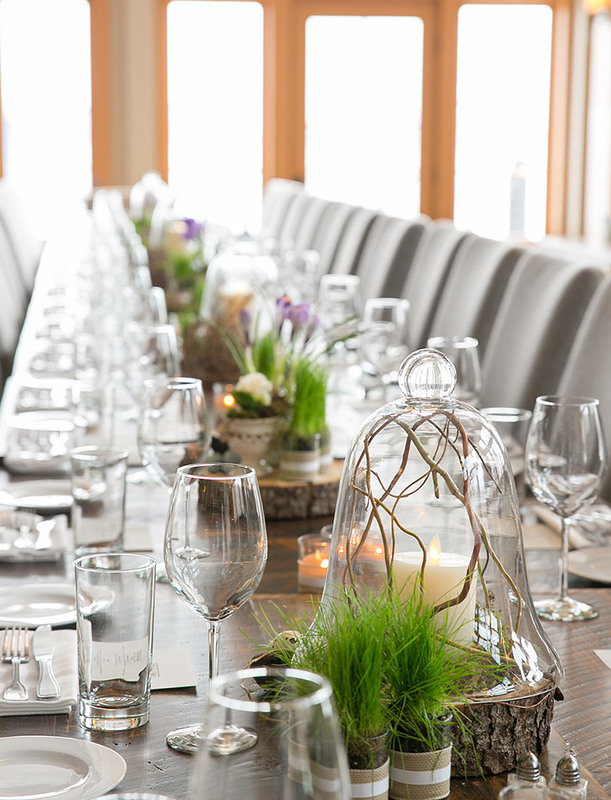 The Casco Bay room is a great space for smaller business functions or family events. 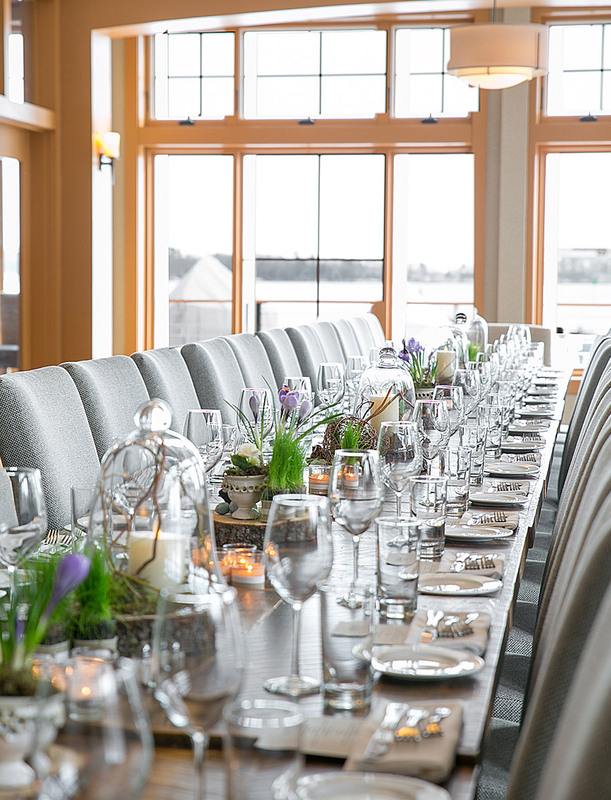 We can seat up to 34 guests at one long table for a more intimate dining experience. 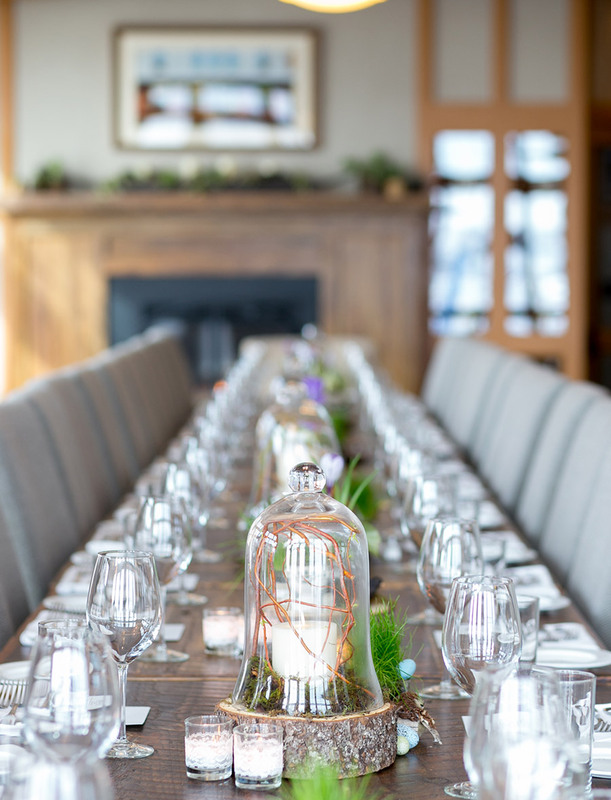 This layout still allows plenty of space for cocktailing before a sit down meal.